Few authors go to print and then hope their work is out of date in no time. Hat-trick heroes, one and all. But Steve Gordos and Clive Corbett are different. They recognise that any ageing of their recently-published text is a signal that there have been personal match-day heroics to savour – and that is something they welcome as lifelong Wolves fans. Their 2018-19 book ‘Golden Balls’ pays tribute to all the men who have scored three or more times in a game for the club and was published some weeks before Diogo Jota so spectacularly underlined his return to top form with his match-winning treble against Leicester. Given that it had been more than 41 years since any Wolves player had hit a top-flight hat-trick (John Richards, also against Leicester), they probably thought their information would remain spot-on for some time. It had, after all, been approaching five years since the last Wolves hat-trick – netted by Nouha Dicko in the 6-4 League One win over Rotherham on Good Friday in 2014. Now we trust it will be nothing like as long until the next one and that maybe a volume two will be required! Corbett, like his co-author, is no stranger to the book shelves, both men repeatedly having delivered on projects of considerable substance. Golden Balls, all 406 pages of it, is the weighty, definitive celebration of many of the most spectacular scoring feats in Wolves’ history. It is a seriously comprehensive publication; brilliantly researched and with no little insight in the host of interviews carried out with the players whose exploits have made the headlines over the last 60 years. One minor observation: more should have been made of explaining where, when and how these conversations took place because there are some revealing nuggets of information in there. Bobby Gould, for example, tells how he was advised by Mike Bailey not to return for a second Molineux spell because Bill McGarry was losing his way. 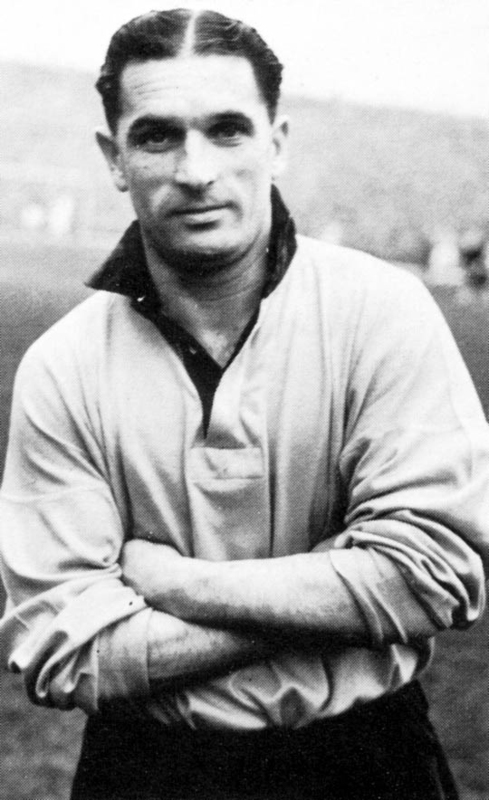 Colin Booth is quoted as saying the only man he knew to rival Bobby Charlton in terms of powerful shooting was Johnny Hancocks, whose boots he cleaned at Molineux from the age of 15. And Hughie McImoyle is left with the thought that Ronnie Allen may not have liked Scottish players. Gould, Booth and McIlmoyle are among close to 90 players who have hit Wolves hat-tricks and are among the many quoted about how they thrilled the gold and black masses. Where the interviewers couldn’t reach – namely back to those players from before the mid-1950s – the archives have proved essential. Few know Wolves’ distant history better than Gordos and his fingerprints are all over the huge chunks of text devoted to describing both the execution and context of all the three-goal feats in the first 75 years or so of the club’s history. He is also part of the school who recall that hat-tricks were once defined only as occasions when the same player scored three successive goals, which explains frequent Golden Balls use of alternative phrases such as ‘three-timer’. The book informs us that we are now within ten of the 200th treble in Wolves history, 154 of those having come at home and 34 away or on neutral grounds, the latter category having included McIlmoyle’s match-deciding contribution to a 1965 FA Cup second replay against Villa at The Hawthorns. Steve Bull holds the hat-trick record for the club, his 18 eclipsing the 16 Billy Hartill totalled from 1929 to 1935. Dennis Westcott (9), Tom Phllipson (7), Roy Swinbourne (7), Jesse Pye (6), John Richards (6), Derek Dougan (5), Jimmy Murray (5) and Hancocks (5) are others who figure prominently. Johnny Hancocks – venomous finisher. 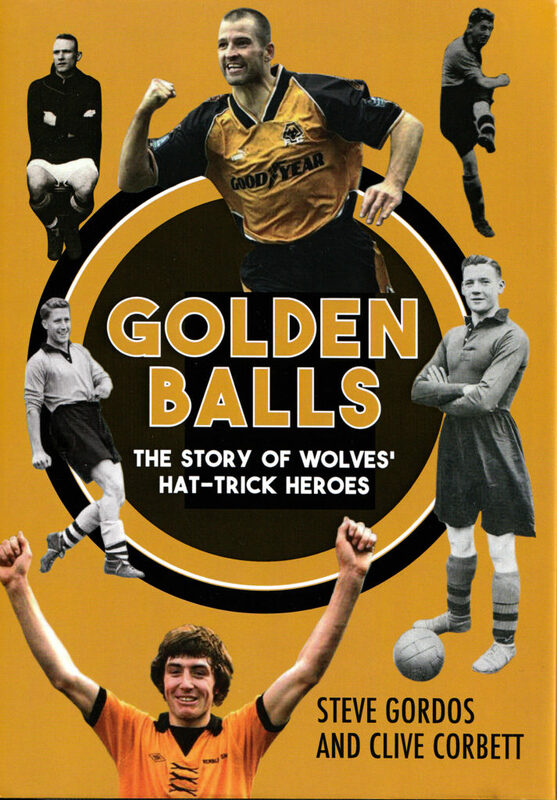 Golden Balls, which costs £20 and is produced by Geoffrey Publications, also offers a list of the clubs who have been on the receiving end of all these momentous deeds and a season-by-season record of Wolves’ leading scorers. A pound from the sale of each copy goes to the Carl Ikeme Cure Leukaemia Fund. Posted on: Thursday, February 7th, 2019.